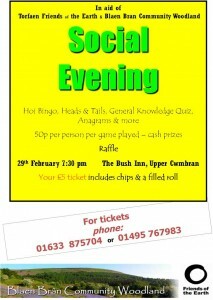 Blaen Bran Community Woodland and the Friends of the Earth are holding a social evening on Monday 29th February 2016 at 7.30pm at the Bush Inn, Upper Cwmbran. It’s in our events calendar here. 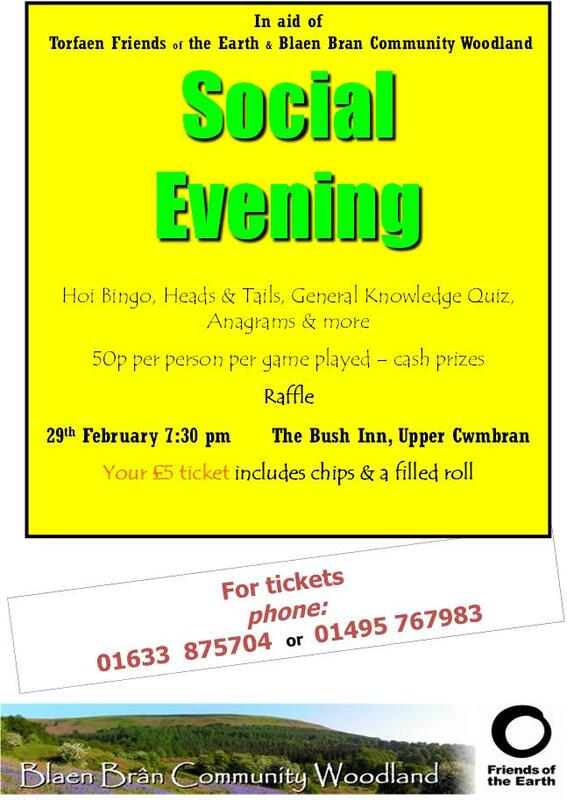 Tickets will be available at the Bush Inn later this week (or contact us to reserve some) – encourage your friends to come along and support these worthy causes!